As of this writing, late July 2018, in the current market homes have sold between about $1,500,000 and $2,000,000. Homes may still sell as low as $1.5 million or less if they’re small, have location issues and / or fixer uppers, but within the last year one sold as high as $1,805,000. Prices will be higher for the best locations in the neighborhood (away from Pollard Road, away from the freeway / train tracks / power lines). Some buyers prefer to be adjacent to Rolling Hills Middle School and some prefer not – but that could influence pricing too. The home’s size and condition, meaning how remodeled and well maintained it is, are major factors too. A terrible home next to the high voltage lines & free that’s also small will not fetch nearly so high a price as one which is fully remodeled and in a more interior location in the subdivision. 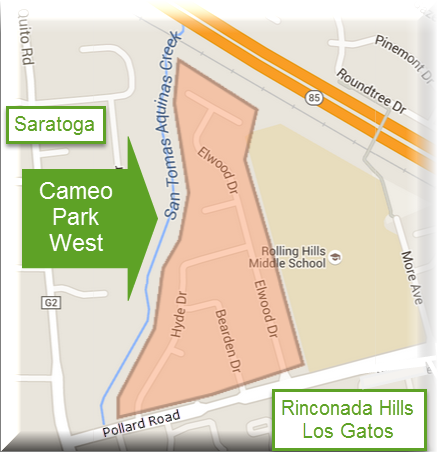 What homes are for sale in Cameo Park West right now? 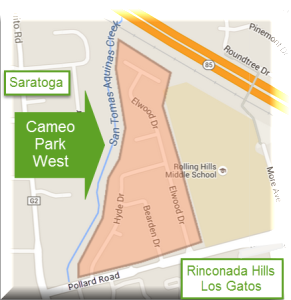 Below is a map search showing the currently available real estate listings of houses for sale in this Campbell – Los Gatos neighborhood. 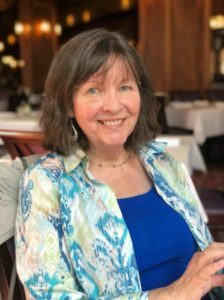 If you are interested in selling or buying a home in Cameo Park West, in Los Gatos, Campbell or anywhere in Santa Clara County, please give me a call – I’d be happy to chat with you (no obligation, no pressure).